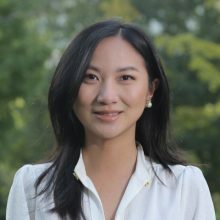 Crystal Huang is a Principal in GGV Capital’s Silicon Valley office. She invests in enterprise companies at GGV and has participated in investments in Bitsight, Aptible, Milezero, Headspin, Unravel Data, NS1, and Restless Bandit. Prior to joining GGV, Crystal worked as an analyst in Blackstone’s Technology M&A Advisory Group, with experience in enterprise software, mobility and ecommerce. Crystal graduated from Harvard College with an BA in Government. She has spoken at events such as Mobile Venture Summit, New England Venture Summit, Cornell Tech Women in VC Panel, VentureCrush NYC, Berkeley HaaS Young VC, SoGal Summit, and HBS VCl & PE Conference. She was named to the 2016 Forbes 30 Under 30 in Venture Capital.